Warren Buffett, Chairman and CEO of Berkshire Hathaway, stated in his annual letter to Berkshire Hathaway investors that Berkshire Hathaway (BRKB) made a $65.3 billion net gain in 2017, but only $36 billion came from Berkshire’s operations and his brilliance. The other $29 billion came from the Republican-Trump tax cuts. Namely, the reduction in corporate tax rates. Imagine that 55.4% of Berkshire’s net gains came from Buffet’s efforts while 44.6% came from Trump and the Republicans. This from the man who backed Hillary Clinton and condemned the Trump policies on taxes. Oops, looks like the so-called Wizard of Omaha got that one 100% wrong. Every right thinking person without a political bias knew Trump was going to be good for the economy. Even the likes of Warren Buffet were wrong and tainted by their liberal bias. It would appear that Donald Trump trumped Buffett. The rest was a gift from the new U.S. tax code. “A large portion of our gain did not come from anything we accomplished at Berkshire,” he wrote, adding that about $29 billion of that $65.3 billion gain came from changes to the tax law. 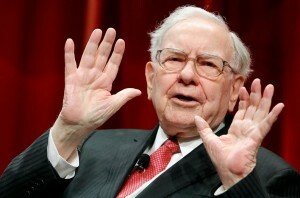 Buffett went on to extol Berkshire’s investing methods. Careful decisions and an aversion to debt and speculation has gotten the firm this far — and that’s the course it’ll stay on, he said. But remember when Warren Buffet was against the Trump Tax plan? I am certain the Berkshire Hathaway investors are glad Trump went against the wishes of the individual they put all their trust in with their investments. I wonder who the investors of Berkshire Hathaway feel that the individual in charge of their investments cared more about politics than he did his fiduciary responsibility to their monies? President Donald Trump’s tax reform plan came under new criticism on Tuesday from two towering Wall Street figures, including billionaire investor Warren Buffett, who called into question a Republican drive to slash the U.S. corporate rate. With the White House and top Republicans in Congress already on the defensive over claims the plan would not cut taxes for many middle-class Americans, Buffett and BlackRock Chief Executive Larry Fink suggested in separate interviews that the corporate rate may not have to be cut as deeply as proposed. “We have a lot of businesses… I don’t think any of them are non-competitive in the world because of the corporate tax rate,” Buffett, thechairmanand CEO of Berkshire Hathaway, told CNBC. Barack Obama and his minions continually play the class warfare game and talk of the “Buffett rule” as some way of paying down the debt. Sadly, so many have bought into the class warfare mantra and may want to educate themselves a bit more. They might want to start by watching Rick Santelli’s rant on the foolishness of raising taxes as being the answer. WRONG! The only way to reduce the debt is to decrease spending. WAKE UP AMERICA … passing the “Buffet rule”would do nothing to reduce the deficit. Of course, conservatives and Republicans have thought that all along. But in recent days, the trouble for Obama has been far broader, as commentators and politicians – faced with nonpartisan estimates that enacting the Buffett Rule would raise about $4.7 billion in revenue per year, less than a drop in the bucket of a $1 trillion-plus annual deficit — admitted that there’s just not much there. As we are reminded at the Gateway Pundit, Santelli discusses the real job numbers and the 1.2 million people who dropped out of the job market. SERIOUSLY AMERICA, WAKE UP AND EDUCATE YOURSELF AND STOP BUYING INTO THE LIES OF BARACK OBAMA AND HIS MINIONS. Use some common sense, you can’t spend your way out of a recession and you cannot tax your way out of abusive over-spending by a government. The Angry White Guy has some common sense calculations that all can and should understand.Take a good look at what happens when we cut government spending vs. raising taxes. Stop the hate and the nonsense of class warfare … its not about the rich making money and individuals being green with envy, you should care more about an abusive, over taxing government. Didn’t we have a Revolutionary War over this once? So soaking the rich would make how much money? Must be a lot for Obama to much this much time into it – on average less than $5 BILLION a year…. $5 BILLION it’s a lot of moo, it’d fund my good and bad habits for quite a while. But at the government level… $5 BILLION isn’t squat and would run the Federal government for less than two hours, so $5 BILLION – it’s laughable at that level. By the way cutting federal spending just 1% like trips to Vegas and iPods for GSA workers would save $37 BILLION a year, cut it 10% do the math $370 BILLION a year. On CNN ‘State of the Nation,’ Republican National Committee Chairman Reince Priebus stated that the Obama backed “Buffett Rule,” was nothing more than a political maneuver meant to distract from his record on the economy. YA THINK!!! Republican National Committee Chairman Reince Priebus on Sunday said the proposed “Buffett Rule,” backed by President Barack Obama, is a political maneuver meant to distract from his record on the economy. Priebus said the rule, which would level a minimum tax rate on millionaires, amounts to “one single tiny alteration of the tax code” that will not make a significant dent in the budget. The latest in “class warfare” from President Barack Obama … Obama pays lower tax rate than his secretary. However, the story is not that Obama’s secretary pays a higher tax rate, the question should be why does a hypocrite like Obama champion the “Buffet rule”, yet in the next breath do everything possible to lower his tax rate? Hmm? Upon release of Barack Obama’s 2011 federal income tax return we learned that the Obamamessiah pad an effective tax rate of 20.5% making an adjusted gross $789,674. Note to “Occupy Wall Street folks, Obama is hardly one of you. It would appear that Obama’s secretary Anita Decker Breckenridge paid a slightly higher tax rate and only grosses $95,000. President Obama today released his 2011 federal income tax, with he and his wife reporting an adjusted gross income of $789,674. 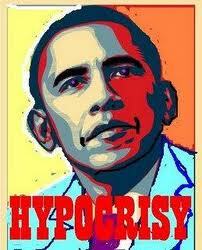 The Obamas paid $162,074 in total tax – an effective federal income tax rate of 20.5%. The Obamas also reported donating approximately 22% of their income to charity — $172,130.